Welcome! 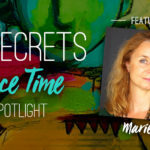 Every Tuesday and Thursday Tonia Jenny, the 21 SECRETS Creative Director & Course Manager, interviews one of the talented teachers in our 21 SECRETS program for an Artist Spotlight. 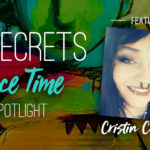 To never miss an interview be sure to sign up for blog notifications located at the bottom of this page and CLICK HERE to check out past interviews. Enjoy! 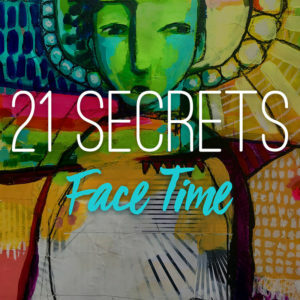 Just 11 days now until we roll out 21 SECRETS Face Time! 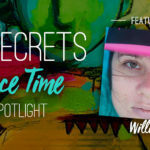 Today, I’m happy to share with you my interview with Deanna Strachan Wilson—our Spotlight Artist. 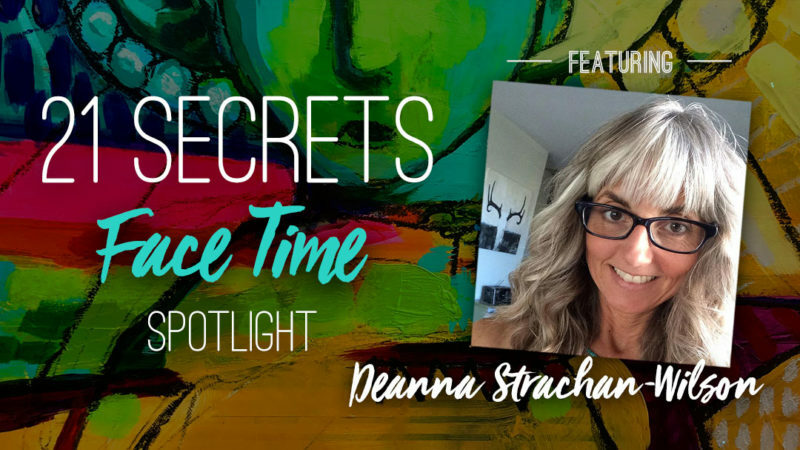 I’ve been a fan of Deanna’s art that I see on Instagram for quite a while now and I love that a big focus in her 21 SECRETS Face Time workshop—Resilient Reflections is on the tactile process of creating a face. And I think you’re going to love Deanna’s devotion to creating characters with a distinct brand of expression. 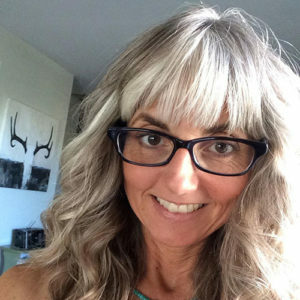 Let’s learn more about Deanna and her approach to making art. How have your creative pursuits morphed or changed over the years? My creative pursuits have taken on a variety of forms over the years from visual art, to poetry, to playing piano. I feel happiest when I am being creative on a regular basis in any art form. For me, art is my time to rest, process, and explore. 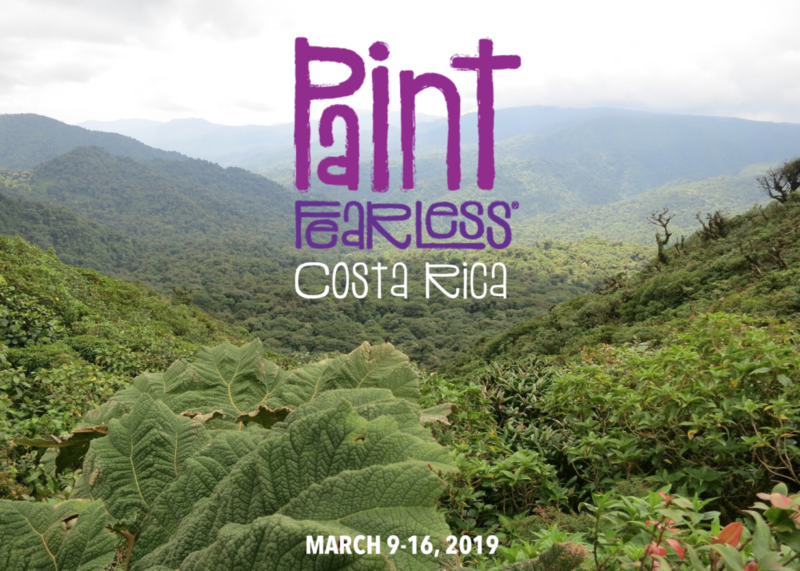 In the last five years, I have focused on painting faces and connecting the expressions to what is happening for me in the moment. Sometimes the painting is about me, sometimes it is about someone else. There are almost always words in my paintings and there is always a story but the story is not always known by the viewer. I believe as the creator or the viewer, art gives us the opportunity to wonder, to be curious, and to write our own story. Is there a certain new-to-you material that you just can’t get enough of? 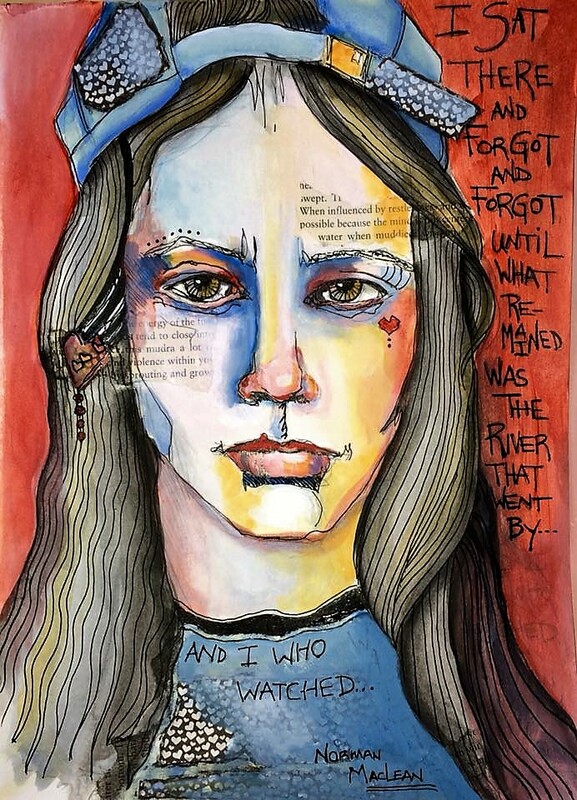 I can’t get enough of water-soluble media: watercolor paints, pencils, crayons, India ink. I love to see how the colors interact with each other. The paint and the process of applying watercolors is so different than acrylics which is what I’ve used mostly. I recently purchased watercolors in tubes and the colors are SO rich. I’m really enjoying finding my faces with these tools. 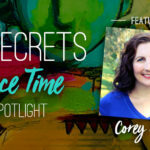 Is there a “secret message” you often want your work to convey? I don’t know if it’s a secret but I really try to convey the variety of emotions we have as humans. My faces are often serious but lately have changed to include toughness, forlorn, hope. Any secrets they hold are within themselves and for the viewer to discover. Have you discovered something since submitting your workshop that you’d love for us to know? I have! But, you will have to watch the videos to find out what that personal discovery is! In the meantime, what I hope you will take away from this lesson is that creating art is a process that needs to happen on a regular basis. For me, I get more out of creating the art than the outcome. I’m very tactile. I love to touch the brushes, papers, paints, and water. I get lost in the strokes, the gluing, the writing and the drawing. The more time I give to my process, even just 15 minutes a day, the more growth I see. Because I work full-time, it took me some time to figure out how to get regular creative time; time where I can touch my art frequently throughout the week. I finally found what works for me and I share that on video as well. I encourage you to find what works best for you. How will you meet your soul’s need to create? Non timeo, sed caveo. “I do not fear, but I am cautious.” This is my family’s Scottish motto on our heraldry. I would say that this suits me well. The cautious side of me will get as much information as I can about what I am heading into, then at some point, I just have to jump in…. Ooo, I love that as a mantra, don’t you? I’m going to adopt that for sure. I also love how Deanna is holding us in suspense on some of her answers, saying we’ll just need to watch her lesson’s videos to find out! Until then, let her be an inspiration to you; go out today and try a completely new medium. You never know what you might have been missing! 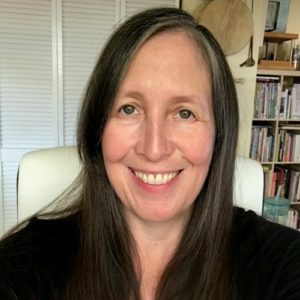 My name is Deanna Strachan-Wilson (pronounced “Strawn”) and I have been creating in one way or another for most of my life. It is just in the past 5 years that creating visual art has become a meaningful way for me to explore my feelings and emotions when I can’t find the words. 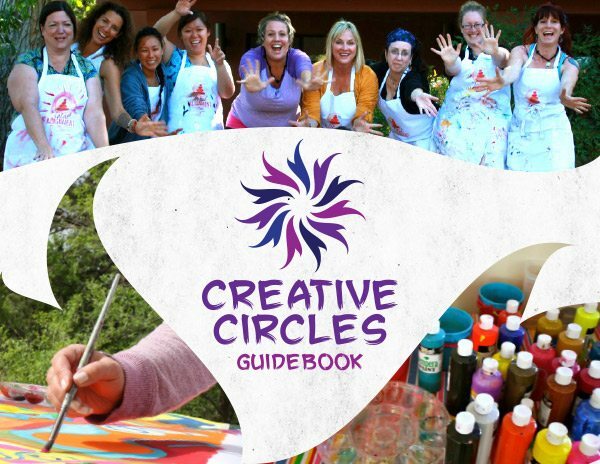 Creating allows me to stay in touch with my heartspace and get out of my headspace. I paint mostly faces and figures and, like the layers of our lives, my creations are layered with various mediums, collage, hidden words and secrets that only I know. 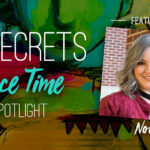 I have had the opportunity to share my process in both online and in-person classes and believe in developing a community of other creatives where we can share our stories together in a trusted space. 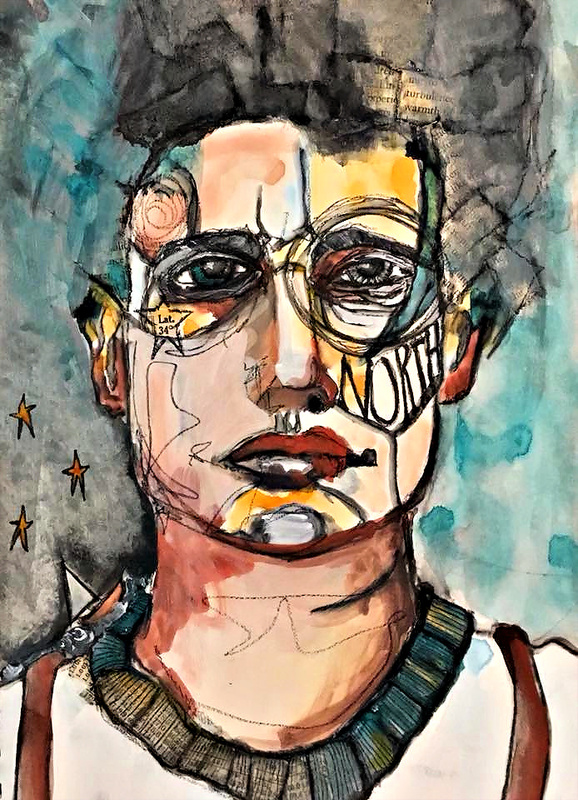 Using your art journal, explore a variety of mixed-media tools and techniques to practice creating portraits; creating what YOUR eye sees as YOU see it, not necessarily as the world sees it. 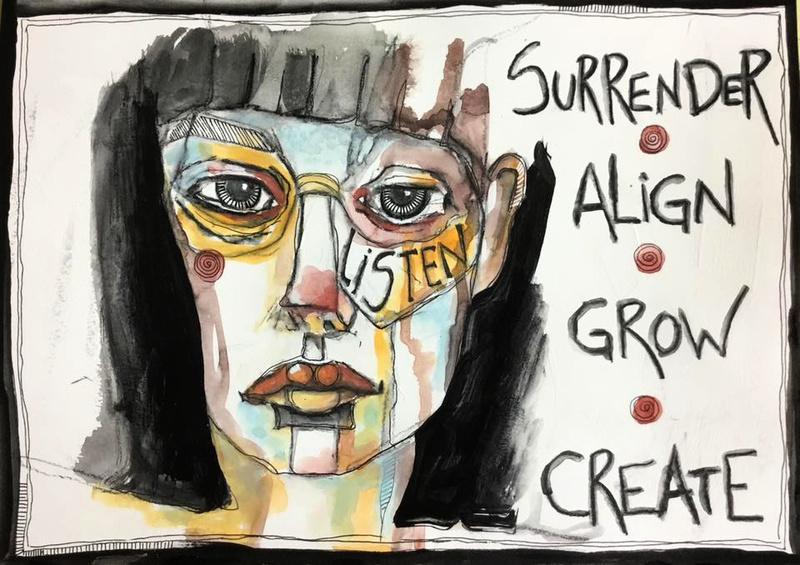 I will share my method of incorporating words, phrases and written journaling with layers of paint, collage, line work and anything else that tickles the fancy to help you reveal your own Resilient Reflection.